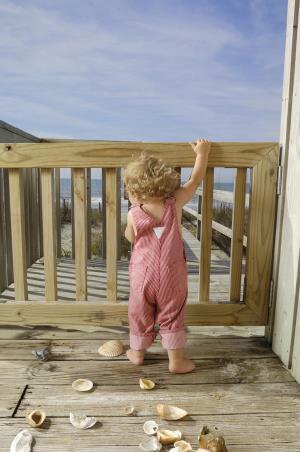 Is your home safe for your active toddler? 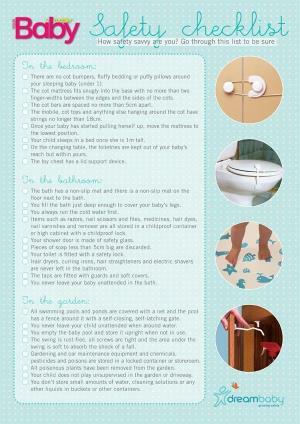 Your Baby compiled a comprehensive safety check list for you to download. An estimated 40% of deaths and 50% of nonfatal unintentional injuries occur in and around the home. With a large and comprehensive range of catches, latches and locks, Dreambaby will help keep babies and toddlers safer in the home. Children learn from repetition, they watch and copy. Using a variety of catches, latches and locks throughout the home, with different mechanisms, will help prolong the deterrent effect of child-safety products. 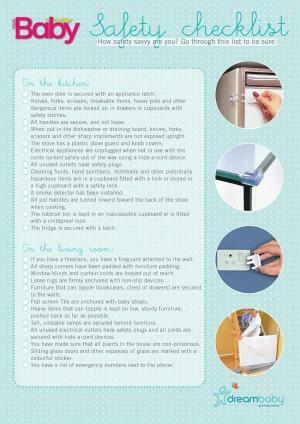 We have compiled a check list to help you child-proof your home, room for room. Download our 2-page safety check list! 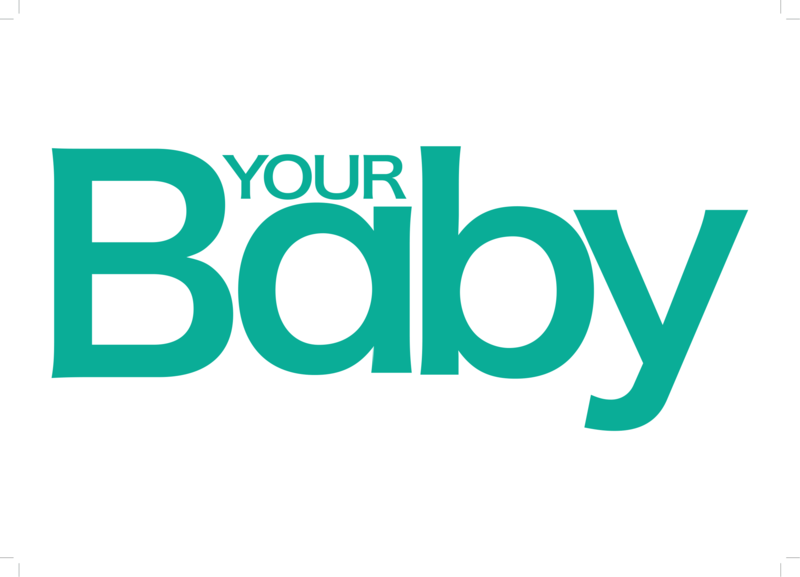 What measures have you taken to baby-proof your home? Did we miss anything? Send your comments to chatback@parent24.com and we may publish them.